I am a qualified teacher holding the Certificate in Early Years Education. I went straight into teaching after qualifying in 1972 working in a Primary School as Head of the Infant Department. I have three grown-up children and prior to working at Loughborough College I worked in a smaller nursery in Derby. I started working at Loughborough College in 1995 and was responsible for setting up the Radmoor Nursery which opened in January 1996. As the demand for different types of childcare grew we have since developed two out of school clubs, a morning club and a holiday club. I take great pleasure in seeing each and every child from such an early age grow and develop their own personalities knowing that my team of dedicated practitioners have played such an important part in their early years development. I also enjoy the partnership that is built with families and appreciate the trust that they put in us in sharing their child’s development. I am now a Grandma to Joshua who enjoys attending the Baby Room. I am fortunate being so close to him in his early years development. I have always been very passionate about working with children since I was young and this has not left me yet. Before joining Radmoor Nursery I worked as a babysitter and had experience working in different settings whilst at College. I love to see the children grow and develop. It is a very rewarding job and fills me with pride and happiness working with such a wonderful generation. I started working at Radmoor Nursery in 2008 and hold the CACHE Level 3 Diploma in Childcare and Education. I hold some responsibility for Health and Safety in the Nursery too. I work in the baby Room with babies aged up to 18 months. I have worked in schools as a Teaching Assistant with children of various ages and in other nurseries with children aged from birth to 5 years. I enjoy receiving lots of smiles and cuddles from the babies and seeing how their personalities develop and watching their confidence grow. It’s lovely to be able to see the babies reach their development milestones such as sitting up, crawling, walking and babbling. I joined the nursery team in September 2008 where I worked in all the different age groups including the Out of School Club. I now work in the Baby Room and since joining the Radmoor Team I have gained my Level 2 Childcare qualification. I have three children of my own. Being a mum is useful if parents need advice about childcare as I can make use of my own experiences. I enjoy introducing and settling the babies into the nursery and helping the parents to feel relaxed about leaving their child in my care. I also enjoy seeing how the babies develop during their time in the Baby Room knowing that I am contributing to their early years development. I have worked at Radmoor Nursery since 2011 and hold a Level 3 Diploma in Childcare and Education. I have experience of working in Schools, Nurseries and out of school clubs. I currently work within the toddler and baby unit. During the school holidays I help in the Holiday Club which is lots of fun. I joined the Nursery in February 2015. I hold a 'BA Honours Degree in Educational Science - Pedagogy of Primary and Preschool Education'. I currently work in the Toddler Room where I care for children aged one a half to two years of age. Prior to working at the Nursery I have worked in various Hungarian Nurseries with children from two to seven years old and have spent time being a Nanny. I thoroughly enjoy spending time with the children watching them develop and progress in many different ways. I love the honesty that children have as well as how curious they are about everything. Of course i love all the hugs and smiles that the children provide. I joined the Nursery team in 2014 working in the before and after school club based at Holywell School. I now work within the Nursery based in the Toddler Room. During the School Holidays I work within the Radmoor Holiday Club. I hold a Level 3 Certificate in 'Support Teaching and Learning' and a Level 3 in 'Early Years Workforce'. I have experience of working with children of all ages and as a learning support assistant within Schools. I enjoy working with children of all ages. I like providing stimulating creative and messy play activities. I enjoy watching the children learn new skills and understand the world around them as they progress through the Nursery and Out of School Clubs. I started working at Camp Energy Out of School Club in October 2013. I now work in the Nursery in Red Group with children aged two to two and half years old and in the School Holidays I work within the Holiday Club. I hold a certificate in 'Children's and young persons workforce Level 2'. It is very rewarding to see the children progress and accomplish in things that initially they could not do. I enjoy working with children across the age groups as it enhances my knowledge of and experiences in Early Years care. I have recently become a mummy so my spare time is spent looking after and entertaining my little girl. I joined Radmoor Nursery in 1997 and hold an NVQ Level 3 in Childcare and Education. I work in Red Group. Before working at Radmoor Nursery I worked as a babysitter for family and friends and have also over the years looked after children from the nursery out of nursery hours. I enjoy watching the children develop into confident, independent little people with their own personality. During my time here at Nursery I have also held positions of responsibility relating to Foundation Stage co-ordinator and supporting a child with additional needs. Before being appointed to work at Radmoor Nursery I carried out voluntary work at a Primary School. I have been working at Radmoor since 2013. I hold a Level 2 Certificate in 'Children and Young Peoples Workforce'. I currently work in Yellow Group with children aged between two and two and a half years old. I also support the Holiday Club where I care for School age children. I have worked at Radmoor Nursery since 2010. I currently work in Yellow group with children aged from two to two and half years of age. I currently lead Camp Energy Out of School Club and I enjoy this extra responsibility. I hold a Level 3 BTEC National Diploma in Health and Social Care and Level 3 in assessing Vocational Achievement. I am the Healthy Child programme lead where I support families when their child has their 2 year check. I am looking into furthering my education by qualifying at a higher level. I really enjoy working with the children and watching their personalities grow and seeing their development progress as they move through the nursery. I love spending my spare time with my niece and nephew. I have worked at Radmoor Nursery since 2010 and have completed both Level 2 and 3 of my Diploma in 'Childcare and Young People's Workforce'. I have always wanted to work with children for as long as I can remember. When starting at the Nursery I worked in the Pre-School Group. I am now working in the Baby Room with babies from 3 months to 18 months old. I have learnt Makaton sign and symbol language designed to support spoken language and I try to use it as much as possible in the baby Room. I enjoy spending time with the children, watching them grow as well as supporting them in their development and learning their approach to life. I joined the nursery in 1999. I work in the Pre-School Group as a Nursery Practitioner and I am a Key Person to specific children helping to build on their skills and prepare them for school. I have previous experience of being the Nursery Deputy. I hold an NVQ Level 3 in Childcare and Education. 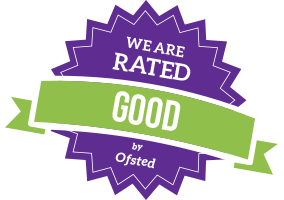 I work closely with the Catering staff ensuring that the children receive healthy, balanced meals taking into consideration any dietary needs. I enjoy promoting positive transitions to school through school visits and Liaising with their teachers. The children teach me a lot and all have such different personalities. It is lovely to see them gain confidence and be sociable people. I joined the Nursery in 1996 and work in the Pre School Group with children aged 3 - 4 years old. I am the transitions to School Co-ordinator and The Nursery SENCO. I have experience with working with children on a 1:1 basis. I hold the NNEB qualification and before working at Radmoor Nursery I was a live in nanny. I am also a mum myself and have two children. I enjoy everything about working at Radmoor Nursery especially reading stories to the children and seeing them interested in books. 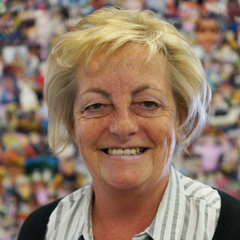 I first started nursery as a student in 1996 and became a full time member of staff in 1997. I am currently working in Pre-School with children from the age of 3 years until they leave to start School. I now have two children of my own and since 2011 I work part time. I hold an NVQ Level 3 in Childcare and Education. I love to see the children having fun and being happy at nursery. I enjoy providing activities and opportunities for the children that extend their development. I first started working at the Radmoor Nursery in 1996. I was deputy manager for about 12 years before going on maternity leave. I now work two and a half days a week as a Nursery Practitioner. I hold an NNEB qualification. I currently work with the Pre-School School Children. Before working at the nursery I worked as a nanny for two boys aged three and five. I now have two children myself and have gained lots of experience from this. I love watching the children grow and develop. I enjoy providing fun stimulating activities for the children to be involved in. I also enjoy working in partnership with parents to make sure the children receive continuity of care so that parents feel reassured leaving their children and the children are happy. I am the Leader at Holywell Morning and After School Club. I also help to support staff in the rooms caring for the children within the Nursery. I have worked with a child on a 1:1 basis which I thoroughly enjoyed. In the School Holidays I ofetn help out in the Holiday Club. I hold a CACHE Level 3 diploma in the 'Children and Young Person's Workforce'. I enjoy working with children of all ages. I love being able to see how we as practitioners can have a positive impact on the children's learning and Development as they grow older. I have worked for Radmoor Nursery since August 2015. I currently work at Holywell Morning Club and as support staff in the Nursery. I hold a BA (Hons) in Primary Education. I have previous experience working in Primary Schools and in After School Clubs. The thing I love the best about working with children is being able to help in the developing of their skills and discovering their talents. I find enjoyment in learning together with the children. I started working at Camp Energy in May 2011. Prior to joining Camp Energy I worked in three different playgroups around Loughborough and have also worked as a Learning Support Assistant in a school. Alongside my role at Camp Energy I also work as a lunchtime supervisor and classroom assistant at Mountfields School. I enjoy working with children particularly when we are doing craft activities. I hold an NVQ Level 3 in Children’s Care Learning and Development. I have worked at Radmoor Nursery since 2009. Currently I work with children aged 4-11 years at Camp Energy and Hollywell out of School Club and the Holiday Club. As I am a Mother and Grandmother this provides me with lots of experience. I have huge experience with working with children on a 1:1 basis to meet their individual and additional needs. The most enjoyable part of my job is getting the children involved in activities and developing this further to expand their experiences. I work at Camp Energy Out of School Club with children aged up to 11 years old. I have worked at the club since 2007 and previously worked in a school as a Learning Support Assistant. I find working with children very rewarding and I enjoy helping and caring for each child and seeing them grow and develop. I started working for Radmoor when the Outwoods Edge Out of School club opened in September 2016 and work with children aged between 4 and 11 years old. I also work within Outwoods Edge school as a Midday supervisor working with children with medical needs. I enjoy watching the children develop through play and seeing the the amazing creations they make from their imaginations and simple items such as cardboard boxes. I like being part of a team that work hard to create a happy environment in which children can have fun. I joined the Nursery in 2001 as supply staff member and became a permanent member of the team in 2004. I gained my NNEB in 1992 and graduated in September 2014 having gained a distinction in the Level 5 Foundation Degree in Children and Young People's Services. I am the Leader of the Outwoods Edge Out of School Club held on the School premises working with children aged 4 to 11 years old. I enjoy being responsible of the day to day running of the club ensuring that all children have fun in a safe and friendly environment helping to develop their personalities and sense of humour as well as extending their learning through their own interests and play. I currently work within the Nursery office dealing with administration and enquiries. I am responsible for the Running of the Holiday Club and have huge involvement with the out of school clubs. I joined the Nursery and Out of School Club Team in 2010. I currently hold an NVQ level 3 in Childcare and Education and have experience of working in nurseries with children aged from birth to 11 years old since 2002. I have two young children of my own and I enjoy spending my spare time with my family. I enjoy all aspects of working with children and the planning and preparing of activities. It is great to see the children happy in a comfortable, fun and safe environment. Working with and building strong partnership with parents/Carers is important to me and I enjoy giving support and advise when possible. I have worked as an Administrator for the Radmoor Nursery since 2004. Originally I was employed to work in the student nursery but now cover all areas of nursery, Holywell and Out Woods Edge out of School Clubs administration. I like to think that the office is run with an ‘always happy to help’ attitude. I really enjoy working at the Radmoor Nursery and the interaction with the children is great. I have worked at Radmoor Nursery since October 2013. I currently hold a CACHE Level 3 Diploma in 'Children's and Young peoples workforce'. I thoroughly enjoy working with the children, watching them grow and develop and understanding of the world around them. I have two children of my own and have gained lots of experience from being a Mum. I started working at the Nursery in October 2016. I work within all the rooms of the Nursery. I hold an NVQ Level 3 in Childcare and I have a total of 7 years experience working with children. I like to provide quality and professional childcare for the children. I am dedicated to creating a safe and fun atmosphere that meets the individual needs of the children. I really enjoy creative and out door activities with the children. After volunteering at Radmoor Nursery I was appointed as a member of staff in March 2016. I currently support staff in all rooms of the Nursery. Before working at Radmoor I worked in a local summer camp which I thoroughly enjoyed. There is always a friendly face within the Nursery wherever you turn and you learn something new about the children everyday. Its wonderful to see each and every child develop and grow throughout their time at the Nursery. I started working at Radmoor Nursery in July 2015. Prior to this I attended the Nursery for my student placement in April 2015. I hold a Cache Level 3 in 'Childcare and Education'. I work within all the rooms in the Nursery but usually based in the Baby and Toddler Rooms. I have supported staff within the Out of School Clubs also. I have previous experience in nurseries and a primary school and have helped out with the Girl Guides and Holiday Clubs. I enjoy building relationships with the children and parents gaining as much information about a child to help support their development and to help parents feel happy when leaving their child in our care.